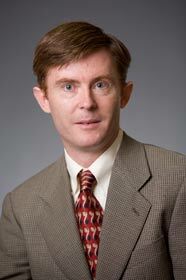 Brian Tomlin is an Associate Professor of Business Administration at the Tuck School of Business at Dartmouth. His research explores operations strategy and supply chain management, with an emphasis on supply chain design and risk management. He is an associate editor of many leading journals, including Management Science. Brian teaches the core operations management class and an operations strategy elective. Brian received his PhD from MIT's Sloan School of Management, where he was awarded the Zannetos PhD Dissertation Prize. His undergraduate degree is from University College Dublin in Ireland. Prior to becoming an academic Brian worked full time for a number of companies, including General Electric and the Boston Consulting Group.